Our senior-level engagement and transparent approach to each assignment set us apart in the industry. Selling companies is the foundation of Periculum’s business. Our focus and experience allows us to provide a superior transaction experience. When representing sellers we take a discrete approach, working hard to find the best buyer – weighing valuation and fit, based on the client’s priorities. The world does not need to know your company is for sale. But the right people need to have the right information at the right time. That’s our job. And our long list of satisfied clients can attest that we do it well. No matter the transaction type, Periculum helps its clients maximize value. Transaction pricing is clearly one of the most important components of value, but there are other aspects that distinguish one offer from the next. We help our clients obtain the best possible price, while negotiating transaction terms and structure that enhance stakeholder value and mitigate forward risk. Periculum leverages its expertise selling companies to support the buy-side efforts of both private and small-cap to mid-cap public companies. There are issues of structure, valuation, strategy, due diligence, and a myriad of unknown hurdles involved in a transaction. It is not a simple process, and an improperly executed combination can destroy the value of a transaction. Periculum helps assure that the value in a combination is realized through a smooth process and close. Selling your company to management at a fair price can often be the best alternative for all parties. No one in our market has more experience in enabling management teams to acquire their employer than Periculum. Periculum has a proven track record in assembling deals that work. We bring all the elements necessary to do the job for management, and we execute each step with precision. We begin with an assessment of company value and the competitive environment in which management wants to gain control. 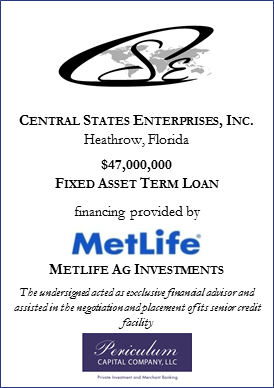 Then we negotiate the offer, arrange senior debt, and bring in additional lenders and investors as needed. Periculum will continue to assist management beyond closing, helping guide the company toward its strategic goals.